John A. Martin & Associates, Inc. JAMA Rings in the Holidays - John A. Martin & Associates, Inc.
JAMA always celebrates the holidays in a big way, but this year brought the competition (and cheer) to new levels. An in-office decorating contest started off the season and was an opportunity for staff to showcase their creativity, especially considering that the pending move to the other side of our building meant this was the last holiday celebrated in our current space. Marketing Director Evita Oseguera received an honorable mention, while Ryan Meier earned Most Creative for his “Office of Misfits.” Partner Barry Schindler’s office was lovingly decorated by Adena Nik, Jennifer Cheng, and Heryang Lee, and their work paid off as they took home honors for the Tackiest Office. Finally, the Best Decorated honor went to Partner Kal Benuska’s office, which was adorned by Jesse Plasmyer, David Sorier-Sammut, Matt Michnewich, and Mike Brown. JAMA also celebrated the spirit and fun of the holidays during our monthly Happy Hour celebration. 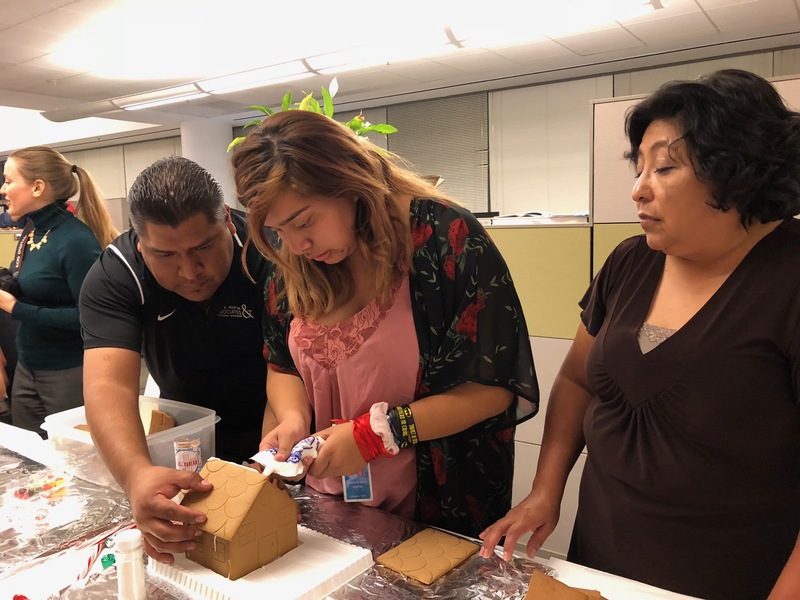 Thirteen children of staff joined the party, helping to make the firm’s third-annual gingerbread house decorating event a real blockbuster.